Always Young (At Heart) Adult Book Club, 2019! Do you still love reading young adult (teen) novels, even though you were in high school before Harry Potter received his letter from Hogwarts? Join us in early 2019 for the new book club, Always Young (At Heart) Adult and share your love of YA literature with other adults. We meet once a month on Wednesdays at 7:15 pm, starting on January 9. The Initiating Inspiration Book Group is a partnership between the Waltham Public Library and the Agape Spiritual Community of Waltham. This group meets every other month on the fourth Monday at 7:15. The group ends at 8:45. Copies of the books are available at our Circulation Desk on the first floor of the library. Please call 781-314-3425 and press “2” at the prompt to check availability. 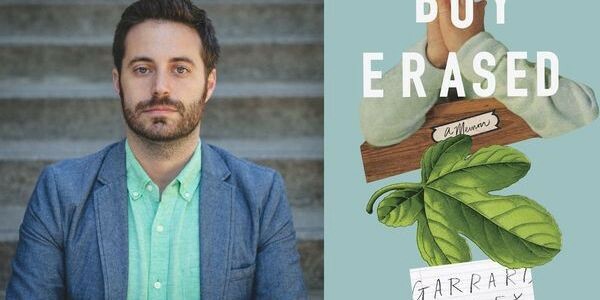 Boy Erased: A Memoir by Garrard Conley When Garrard was a nineteen-year-old college student, he was outed to his parents, and was forced to make a life-changing decision: either agree to attend a church-supported conversion therapy program that promised to “cure” him of homosexuality; or risk losing family, friends, and the God he prayed to every day of his life. Through an institutionalized Twelve-Step Program heavy on Bible study, he was supposed to emerge heterosexual, ex-gay, cleansed of impure urges and stronger in his faith in God for his brush with sin. Instead, even when faced with a harrowing and brutal journey, Garrard found the strength and understanding to break out in search of his true self and forgiveness. How Will You Measure Your Life? by Clayton M. Christensen, James Allworth and Karen Dillon How Will You Measure Your Life shows you how to sustain motivation at work and in life to spend your time on earth happily and fulfilled, by focusing not just on money and your career, but your family, relationships and personal well-being. Daring Greatly by Brene Brown Researcher and thought leader Brene Brown encourages us to dare greatly: to embrace vulnerability and imperfection, to live wholeheartedly, and to courageously engage in our lives. Before Happiness: The Five Hidden Keys To Achieving Success, Spreading Happiness, And Sustaining Positive Change by Shawn Achor Why are some people able to make positive change while others remain the same? In his international bestseller, The Happiness Advantage, Harvard trained researcher Shawn Achor described why happiness is the precursor to greater success. This book is about what comes before both. Because before we can be happy or successful, we need to first develop the ability to see that positive change is possible. Only once we learn to see the world through a more positive lens can we summon all our motivation, emotion, and intelligence to achieve our personal and professional goals. How To Relax: By Thich Nhat Hanh Thich Nhat Hanh says that when we relax, we “become calm water, and we will reflect reality as it is. If we’re not calm, the image we reflect will be distorted. When the image is distorted by our minds, it’s not the reality, and it causes lots of suffering.” Relaxation is essential for accessing the tranquility and joy that lead to increased personal well-being. With sections on healing, relief from nonstop thinking, transforming unpleasant sounds, solitude, being peace, and more, How to Relax includes meditations you can do to help you achieve the benefits of relaxation no matter where you are. Buddha’s Brain: The Practical Neuroscience of Happiness, Love and Wisdom by Rick Hanson Buddha’s Brain joins the forces of modern neuroscience with ancient contemplative teachings to show readers how they can work toward greater emotional well-being, healthier relationships, more effective actions, and deepened religious and spiritual understanding. This book will explain how the core elements of both psychological well-being and religious or spiritual life-virtue, mindfulness, and wisdom-are based in the core functions of the brain: regulating, learning, and valuing. Readers will also learn practical ways to apply this information, as the book offers many exercises they can do to tap the unused potential of the brain and rewire it over time for greater peace and well-being.